Duties included operating a Kubota KX080-4 Excavator and Kubota SVL90-2 Compact Track Loader, Excavating for sub-development foundations and utilities. Surveying to keep grade with laser level and story stick. Project TAB 13-27/D214220: Inspected milling and paving and full/partial depth pavement repairs on interstate paving project. Duties included inspection of work zone traffic controls in accordance with NYSTA requirements and the MUTCD, excavation of existing pavement and subbase material, preparation of subgrade, installation of subbase material and placement of HMA pavement including roller operations. Also inspected installation of perforated underdrain and filter stone for pavement edge drains and weeps, traffic detector loops. Responsible for measurements of work and computations for payment and completion of daily work report in accordance with MURK. Majority of work was performed during night shift. 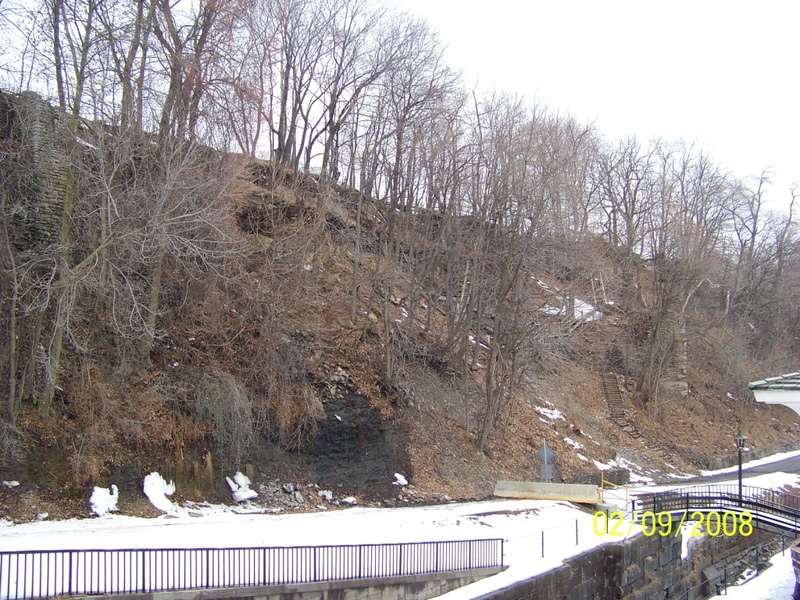 Project TAB 09-40CR/D213887: Inspected stabilization of rock slope at Canal Lock E-34. Supervised and inspected shotcrete operations, installation of drainage weeps, installation of rock catchment fence, rock bolts and rock bolt testing, guiderail installation and paving of parking lot above rock slope. I also assisted the Project Engineer in maintaining the project records; duties included using CEES program for payment on estimates, checking I.R. quantities and monthly estimates, filing and boxing of job for final submittal to Thruway Authority and storage of information. This project received praise from the mayor of Lockport, the head of the Erie Canal Corporation and state senators' chief of staff at ribbon cutting ceremony when project was completed. Project TAB 09-28/D213868: Duties included, inspection of set up and take down of work zones in accordance with NYS Thruway Authority, inspecting milling and paving, full depth reconstruction of shoulders, installation of under drain, S.T.A.R.S. installation, safety upgrades such as delineator & mile marker installation and replacement of damaged guiderail along interstate 90. Project TAN 09-62/D213913: Inspected maintenance and protection of traffic, creating preconstruction and post construction photo log. Removal/installation of corrugated and box beam guiderail, proper assembly and positioning of ET2000, SKT350, end terminals and CAT 350 crash cushion attenuating terminal for safety upgrades along NYS Thruway across Grand Island, NY. Completed daily inspector reports in accordance with MURK. City of Buffalo Department of Public Works Abbott Rd. Project P.I.N. 5759.15: Inspected the forming and casting of sidewalk slabs, curbs and handicap accessible sidewalk ramps with installation of embedded detectable warning units in accordance with the A.D.A. City of Buffalo Department of Public Works Amherst St. Project P.I.N.5756.80: Duties included checking installation of incandescent light poles and signage to meet proper specifications. Creating punch list for contractor, creating As-Built Plans and assisting with final inspection of project. Project TAB09-26/D213866: Performed inspection of milling and paving on interstate paving project. Duties include, inspecting set up and take down of work zones in accordance with NYS Thruway Authority, checking for proper preparation of milled surface to be paved, taking measurements for payment and completing daily inspectors report. Creating preconstruction and post construction photo log. Inspected installation of S.T.A.R.S. and shoulder backup operations. Performed HMA series 50 core sample layout and testing. Assisted in the installation and servicing of commercial refrigeration units.Performed roofing framing and general remodeling of commercial buildings and food processing facilities. Worked as electricians' assistant and laborer on commercial and residential electrical, plumbing and HVAC projects. Duties included installation of electrical panels and lines including three phase, plumbing and drainage lines and HVAC gas line and duct work. Also excavation, installation and backfill of underground electrical conduits and forming and casting foundations for emergency generators. Worked as a laborer on commercial and residential paving projects. Duties included grading of sub base materials, placement and compaction of asphalt courses. Also layout and application of pavement markings for parking lots and commercial entrances.